Hey everyone, it is Tabby Cat Day, besides being Caturday. Yep, I am a tabby dude, so was Derby. Now we gingers have more subtle striping that some cats. You can see the stripes on my rear end and my tail. In some pictures you might not even notice this, so mum went through lots and lots of pics to show off my tabbyness. Below you again can see the stripes along my body, just lovely shades of gingerness. Yep, my face, I got that M on for Marvelous! We tabbies are just marvelous! 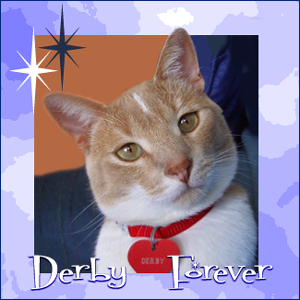 Now Derby was ginger over white, almost like a ginger tuxie kind of guy. But look at his rear legs and tail, you can see the stripes. His M had a cute variation, in that he had a white stripe down his forehead to give even more accent to his face. 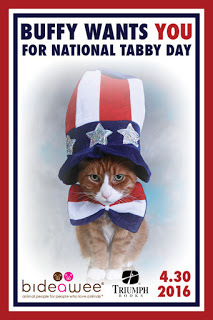 So here is to all of us Tabbies! Hello and Welcome to Garden Thursday with Virginger, Glimmer and Trooper. Like Ducky said the other day, we get a couple of nice days, then cold. We are tired of it, although the white stuff isn't making an appearance! The hostas in the front have stuck their noses above ground finally. Last week at this time, nothing, so the warms helped to push them along. Our two-lips are starting to bloom, the daffs are still going strong, but bits of red are showing up from the two-lips. Mum says she needs more two-lips, so we better add that to the list for this fall to work on. The pee-o-knees are shooting up as well, these are about 6-8 inches tall and in about 5-6 weeks we should have flowers. Hard to tell on this one, but the creeping phlox is just starting to flower. If it would stay warm it would be looking furry purrty. This last one is one of our new lilacs. This one is the ever blooming one, but at least we can see that it will bloom once. Mum has to read the directions on what to do once the first blooms are done to make it bloom again. That is all for this week. Stay warm or stay cool, depending on where you are. Love, Virginger, Glimmer and Trooper. Sheesh, we get one or two nice days, open windows and warms. Now back to cold, mum is bundled up to stay warms. We have found out in the past few days that one of the long time blogging buddies is going on his final journey. Derby introduced me to William when I got here. 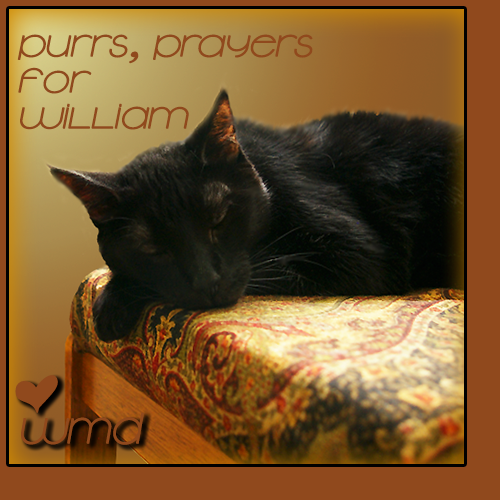 William was one of Derby's long time buds. 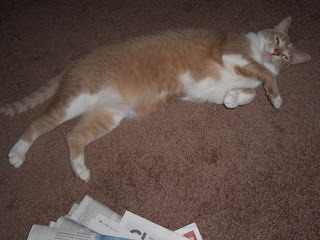 Somecat who had been blogging even before Derby started. So go and leave some conforting purrs to William and his mum. His fur sibs as well. Farewell, William of Mass Destruction. Have fun at the bridge when you get there. Lots of weather stripping for you to play with. Say hi to Derby for us. We will miss you. People that don't like cats haven't met the right one yet. - Deborah A. Edwards, D.V.M. Happy Monday! Mum left me over the weekend to play with racy cars. It was an OK weekend for her. I had lots of peace and I got rewarded with stinky goodness when she came home. Mum also said it was nice as she had warms, but when she got home it had gotten all cool again. So when mum got home and finally sat down. I sat on her. Soak up the loves I missed over the weekend. I like that, soaking up the loves. Have a good week every one. HiYa, Ducky here. Another weekend has rolled around. The weather guessers say it is supposed to be OK. That means lots of sun puddles to nap in for me. In the morning we have the front windows. Lots of sun through the first part of the day. Then in the afternoon, my pod gets sun from about 3 in the afternoon until the sun goes down! Nice! Wishing all of you a weekend full of sun puddles. Hello and Welcome to Garden Thursday with Virginger, Glimmer and Trooper. Spring is here, stuff is starting to get green, like the grass and trees. Mum will probably need to use the grass eating monster soon. Lets get the tour started. Little and big daffy-dills blooming away in the front yard. The new lilac mum put in last year, it isn't tall, but you can see the baby flowers inside! Mum gave the grape arbor a hair cut. She hopes this will encourage it to grow more grapes. The columbine starting to grow by the sump pump drain. Our bleeding heart, looking all full and lush. Mum is hoping for lots of flowers. Miss Trooper has been assigned front yard duty. She is hanging out by our memorial poppy. The brush pile by the side of the house on Caturday. Mum added to it on Sunday. They will pick this up in a few weeks. Mum put out the hummer feeder, but we haven't seen any hummers yet. All of the hi-ya-cinths blooming, they have really opened up lots in the past week. 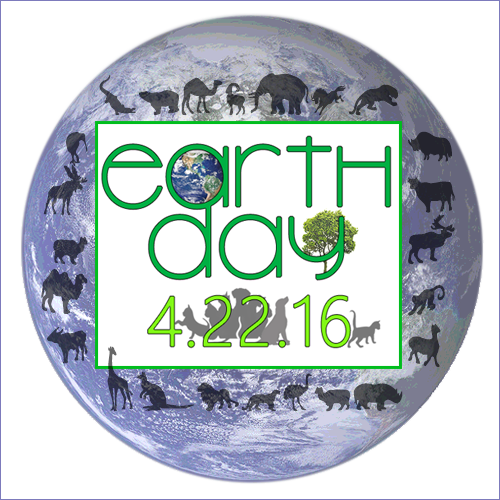 It is Earth Day tomorrow. Be nice to Mum Nature, everyday. That is all for this week, hope you enjoyed our flowers, we are happy spring is here, along with the warms. See you next week. Love Virginger, Glimmer and Trooper. I had a strange day, so did mum. She got up the normal time, but left early. Not like her at all, she usually leaves for work as late as possible. The she came home way earlier than usual and took a nap with me! So what was up? Seems one of her furiends was a klutz, fell down and managed to break her wrist and a bone in her foot. She fell on Sunday but it took until today to get an appointment with an ortho guy. His office was purrty far, so mum drove her. Just in case she shouldn't or even couldn't drive home. Good thing. Mum's furiend now has a boot on her left foot and a cast on her right arm from fingers to above her elbow. No driving for her! So healing purrs for mum's furiend, Susie. Mum just needs a good nights sleep. I will have to sit on her so she gets a lot of sleep. Had a purrfectly marvelous weekend. It was so nice outside, so mum had the windows open, the big windows that go to the floor in the back were open both days. Late in the afternoon, my pod is in the sunshine. I was taking a break from napping in the sun puddle to be on the tower by mum. Plus she got the griller machine going both days. Caturday she did grill beast, it was a purrfect medium rare. Plus she did a salad for herself. Heck I don't care about that green stuff. Yes, I got a few bites. Mum caught me just before I was ready to chow down. On Sunday mum did a chick-hen breast, so I got more bites, but mum didn't take any pics! Mum did lots of work outside, but I will let the girls tell you about that on Garden Thursday. Plus more nice weather to come! HiYa, Ducky here. Oh we are going to have a nice weekend! Sunny, warms, so mum has promised open windows AND grilled beast and chick-hen! Going to be a good one! Mum says she will be outside and doing stuff. Finishing off the pick up stick in the yard, trim off and get the branches neat for the pick up next month. Me and mum had such a good play time this morning. Then the mousie went under the furniture, mum got that mousie and a few others out! Gotta check under there more often mum. Well, play time will come again later. Mum needs to start on her chores and I spy a lovely sun puddle to nap in. Later gang. Hello and Welcome to Garden Thursday! We did have lots to do this week. Monday mum left to do day hunting, then these guys showed up with all this stuff and put it on the garden. Mulching with lots and lots of shredded bark. They got done purrty quick. So when mum came home from day hunting at noon, they were all done. Mum got these pics before she went off again. 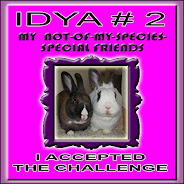 We and mum think they did a good job, and it costed less green papers than the last guys who did it. Even better! See you next week. Lover Virginger, Glimmer and Trooper. Yay, mum is home this evening. So lots of time to cuddle and such. She brought home two big containers of chick-hen that she can cook later. Yummy chick-hen, all nicely parceled out and in the freezer. Ok, now inquiring minds, that means Miss Megan, wanted to know why mum got to do the interviews. Well, she was just one of 6 people, she is the chair purrson of the budget and purrsonel committee. So they were all there, they asked questions, the purrsons asked them questions. Somehow they figured out which one they wanted. Yep, the got it all done on one day. Now the lucky purrson gets a background check and a druggie test. So mum is tired tonight, say she needs sleeps. But she also said she has to get moving more, so went for nice walk after getting home. Not long, but sunshine and fresh air, she said they were good for her. I loves my mum. I get treated so nice, lots of cuddles and such. No worries here. She lets me know when she leaves the house, telling me about when she will be back. I sleeps on top of her, or sometimes crawl under the covers with her. We had a quiet weekend. Mum did her usual chores, readed a book. She didn't do much outside. Cold and windy and yes, a tiny bit of snow on Sunday morning. The weather guessers say it is supposed to get warmer this week. Mum didn't even watch the moving picture box very much this weekend. No ball games, no hitting of little white balls. A little bit of newsies. The bad thing is that we thought we would get a bit of a rest from the poly-ticks for a while? No. Some committee is running ads for a guy mum can't even vote for for over 6 months. Give it a rest people. Mum is going to have a long day today. Day hunting in the morning, then off to the library to interview people for the top job. Yeah, mum gets to do that. HiYa Ducky here. Happy weekend. It is starting out like last weekend. SNOW. Yep more of it, several times this week. These two were Thursday morning, nothing but snow for the girls to snoopervise for Garden Thursday. This is today, Caturday, we have a bit of snow on the ground. It didn't stick to the streets and we have sun. So all of this should melt away soon in the sun. But it is below freezing right now as well. See the big fat robin by the feeder? He will be having frozen worms and bugs for brekkie. Me, I will be lazy and hang out on the tower and let mum admire my toesies! Plus do what ever chores she needs to do today. Hello and Welcome to Garden Thursday with Viginger, Glimmer and Trooper. Yep, mum kick them out of the house last weekend. They got a brief stop on the cat tree and they could see out to what they were getting into. Yep, mum kicked them out last Caturday while we had snow. If I, Virginger, can handle this, so can they. Plus mum says we are going to have all sorts of stuff to snoopervise next week. It did get nice on Sunday, snow was melting and we all have survived. More tales to tell on another week. That is all for now. Love, Virginger, Gllimmer and Trooper. All but the vote counting is over. The poly-tick-ians can go away and leave us in peace. More phone ringing every day. Interrupts my naps. So me and mum can go back to having quiet evenings, we can cuddle up while she reads a book. I adorned mum's lap this weekend. After our morning snow on Caturday, it got sunny and melted most everything, but then it would get cloudy and snow some more, but then it wasn't sticking. Mum did her inside chores, then sat and readed her books. That was me helping her read her books. Mum took off for a while on Sunday, about the racy car things. Yes, that will be starting soon. It was so much nicer too on Sunday. Warm enuf for open windows and all, so lots of stuff happening outside. Once the ding-dong bell rang, mum looked outside but never answered the door. She saw "UMP" on his hat. She didn't want to talk to the UMP people. They must be stoopid anyway, we have a sign on our door that says don't try to sell us anything. Even your political candidate! Mum sounds a bit better, less of the sneezy, sniffies and coughing too. Finally she is feeling better. She made a big old pot of soup, corn chowder, so she has her stuff to eat quickly so she rests. Plus she made frenchy toast on Caturday evening. She even hoped that Miles Meezer came over to eat with her. He loves his frenchy toast.